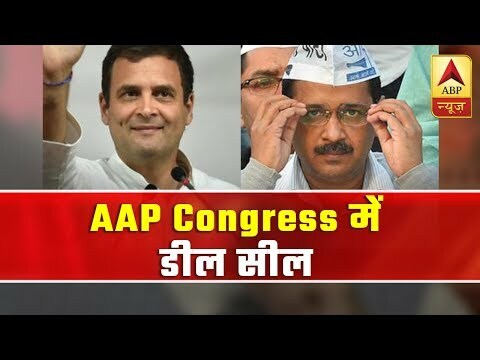 NEW DELHI: Aam Aadmi Party convener Arvind Kejriwal said on Sunday he was willing to do anything to "save the country" from Narendra Modi and Amit Shah, in a clear indication of going soft on his demand for a multi-state alliance with the Congress. Sources said the party may give in to the Congress' proposal of restricting the pact to Delhi and a 4:3 seat split. "The country is in danger. We will do anything to save it. Our effort to save the country from Modi and Shah will continue," Kejriwal told reporters at the meeting of opposition parties to discuss the issue of EVMs malfunctioning in the ongoing general election. Alliance talks between the two parties have been rocky so far, with both having announced that there will be no tie-up. Kejriwal’s statement comes a day after his deputy Manish Sisodia said AAP was ready for an alliance with Congress on 18 seats, including seven in Delhi, 10 in Haryana and one in Chandigarh. Congress, however, has been insisting on restricting the tie-up to the national capital. 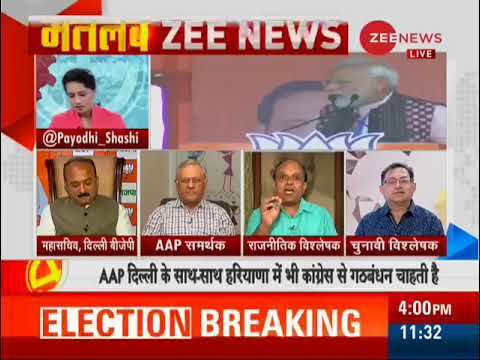 While both Congress and AAP have said on several occasions that joining hands was the only way to prevent non-BJP votes from splitting and stopping the saffron party from sweeping the seven seats in Delhi, they have so far failed to come around on a seat-sharing formula. AAP had initially proposed to collectively fight the election on 33 seats, including 13 in Punjab, where it had won four seats in the 2014 election, and two in Goa, but Congress rejected the proposal. Chacko had told TOI on Friday that AAP was taking an impractical stand on Haryana arguing that the party didn’t have a base in the state. He had added that Congress was open to an alliance with AAP provided the latter was ready to keep it restricted to Delhi.